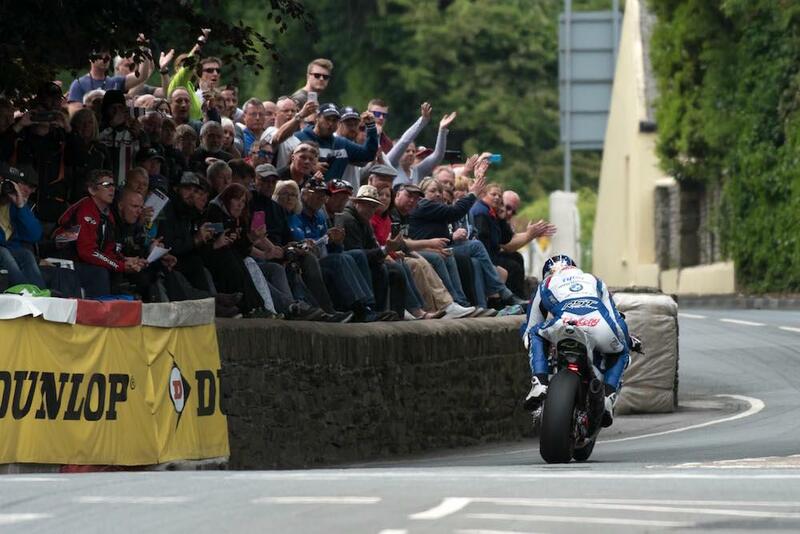 Ian Hutchinson led the way as the 2017 Isle of Man TT finally got underway this evening, but rival Michael Dunlop wasn’t far behind as they completed their first laps of the mountain course. With weather blighting the opening two days’ practice, it had looked as though it’d cause issues on the third too with the island battered by rain mid-afternoon, but as the clouds passed and the sun came out the course was mainly dry as the newcomers set off on their speed controlled laps at 18:16. With the course still damp in patches, organisers moved the Supersport/Lightweight session to the earlier slot of 18:30 with the Superbikes and stockers joining them 45 minutes later. Michael Dunlop was quickest out of the blocks on the 600 to clock a 120.317mph from a standing start on his first lap, but while he improved on lap two it wasn’t enough to take the top spot with Hutchinson clocking an average speed of 121.147mph on his McAMS Yamaha. Gary Johnson was third quickest with a time of 120.311mph on his self-ran Triumph. It came as no surprise that Dunlop was again quickest on the opening lap of the Superbike session, despite it being the 2017 Suzuki GSX-R’s first lap of the 37.73-mile mountain course, crossing the line at Glencrutchery road with an average speed of 125.680mph. Both Hutchinson and Dunlop spent time in the pits after their first laps, with Dunlop’s Bennetts Suzuki team having to replace a broken fairing bracket, but the duo’s times were almost inseparable as they hit the various checkpoints on their second lap. Hutchy managed to gain ground on the second half of the lap to clock the fastest lap of the day with a respectable 125.839mph, less than two seconds quicker than Dunlop who was unable to improve on his opening lap. Dan Kneen was third quickest on the big bikes with a time of 124.642mph, ahead of Smiths BMW’s Peter Hickman at 124.093. Guy Martin recorded a 120.018mph lap for Honda Racing as he makes his return to the mountain course for the first time in two years. Veteran Michael Rutter led the way in the Superstock class with a time of 124.117mph ahead of the Padgetts Racing bikes of Bruce Anstey and Conor Cummins. Rutter was also quickest on his Paton lightweight machine with a speed of 113.946mph.